The land of Tibet—its people, culture, and religion—has long been both an object of contention and a source of fascination. Since 1959, Tibet has also been at the center of controversy when China's "peaceful liberation" of the land of snows led to the Lhasa uprising and the Dalai Lama's escape to India. 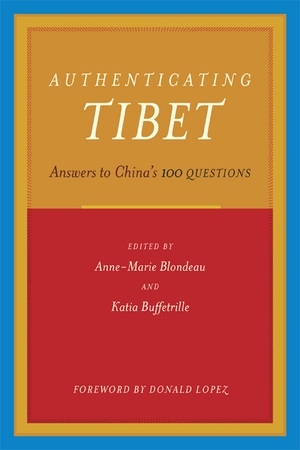 Authenticating Tibet: Answers to China's "100 Questions" offers clear and unbiased responses to a booklet published by the Chinese government in 1989, which sought to counter the criticism generated by the Dalai Lama and his followers and offer the PRC's "truth" about Tibet and Tibetans. 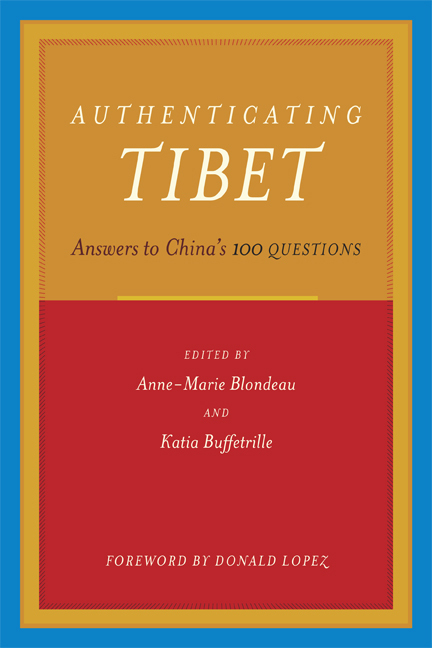 In Authenticating Tibet, international Tibet scholars provide historically accurate answers to 100 Questions and deal evenhandedly with both China's "truth" about Tibet and that of the Dalai Lama and his followers. Designed for use by a general audience, the book is an accessible reference, free of the polemics that commonly surround the Tibet question. Although these experts refute many of the points asserted by China, they do not offer blanket endorsements for the claims made by the pro-Tibet movement. Instead, they provide an accurate, historically based assessment of Tibet's past and its troubled present.